I just watched a short clip on TV about a group of young women in Rustenberg, South Africa who have started an organization that recycles empty plastic bags into a textile. They then use this textile to make school bags for disadvantaged children. This bag is aptly name Repurpose Bag. 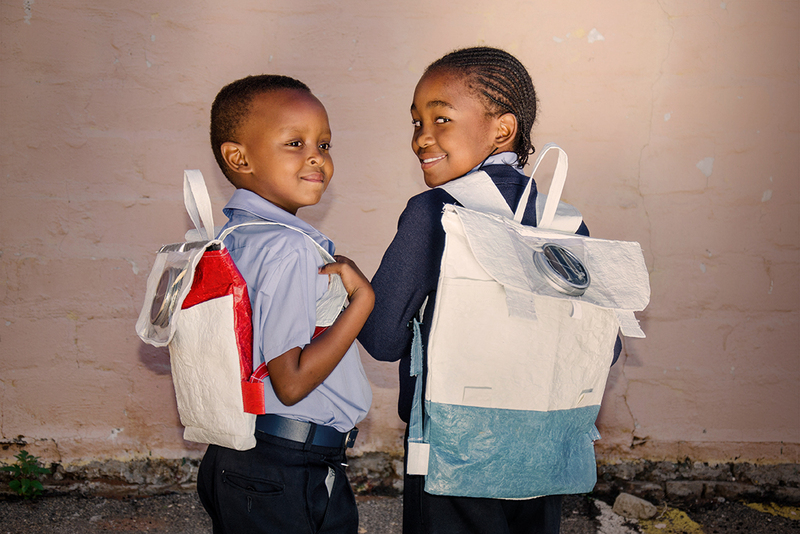 The bag has a solar panel attached to it which charges as the kids walk long distance to school and reflective material for them to be visible and safe. The solar panel is then used in the night to provide lighting. Off the hook ingenuity! In a simple innovation they have solved the problem of plastic pollution, lighting for kids in rural areas, unemployment, road safety for the kids. This is the essence of leadership – ability to solve problems. ← Time for A Life Facelift & Uplift : Arise & Shine!